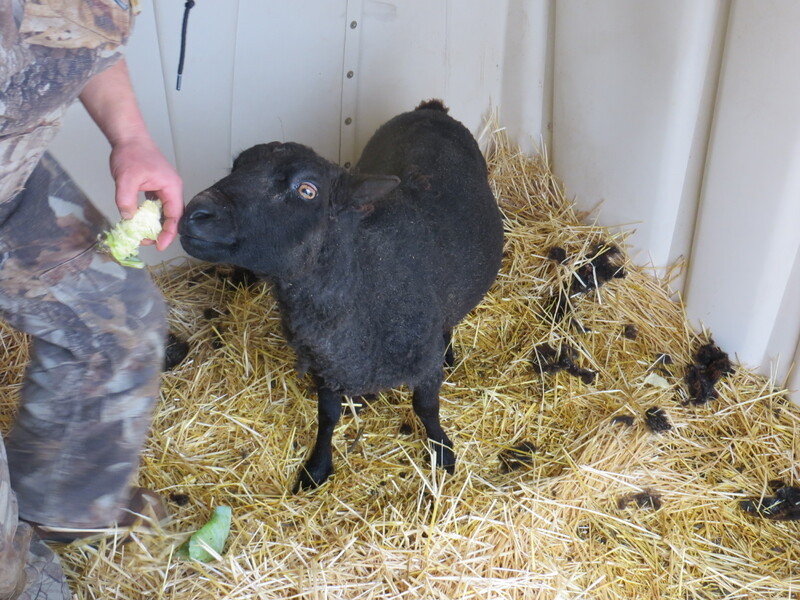 Hazel is a black ewe lamb with a small krunet out of Sheltering Pines Temperance (AFD 22.7 SD 4.8 CV21.0 CEM 8.5 CF 94.6–Temperance has a grade one fleece at four years old and is one of the finest ewes in my flock) and Sheltering Pines Bug (AFD 25.2 SD 5.3 CV 22.1 CEM 9.8 CF 84.4—Bug has a grade two fleece at five years old. Bug has a habit of producing friendly lambs and I love what he produces. I am keeping Hazel’s brother for evaluation. 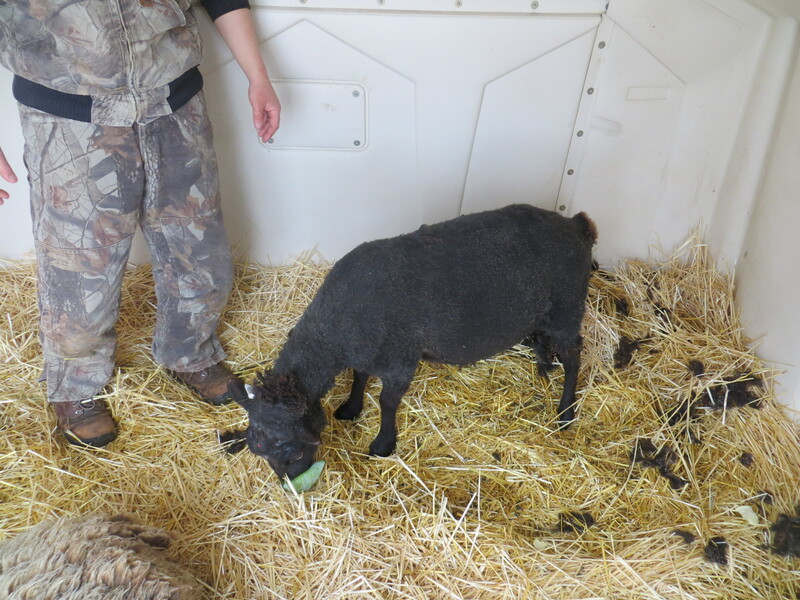 The only reason I am parting with this ewe lamb is that I have enough black in my flock. 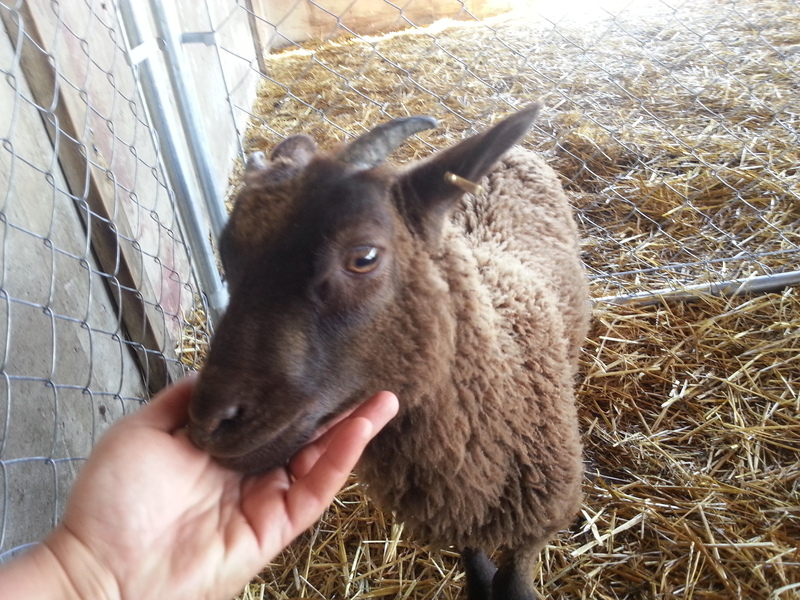 Maggie is a solid black ewe lamb with a small krunet with the most beautiful shaped face, just like her momma. Her teeth are on pad, and her legs are nice and straight. Her fleece will likely be long and wavy. Inara and Bug both roo very well, and I think this guy will too. He looks like he will have a soft, crimpy fleece. He is fawn katmoget with some wild spots and carries moorit. I considered keeping him, but I already have a katmoget ram. He will have scurs of aberrant horns. Gomer $250 SOLD THANK YOU SHAWN! 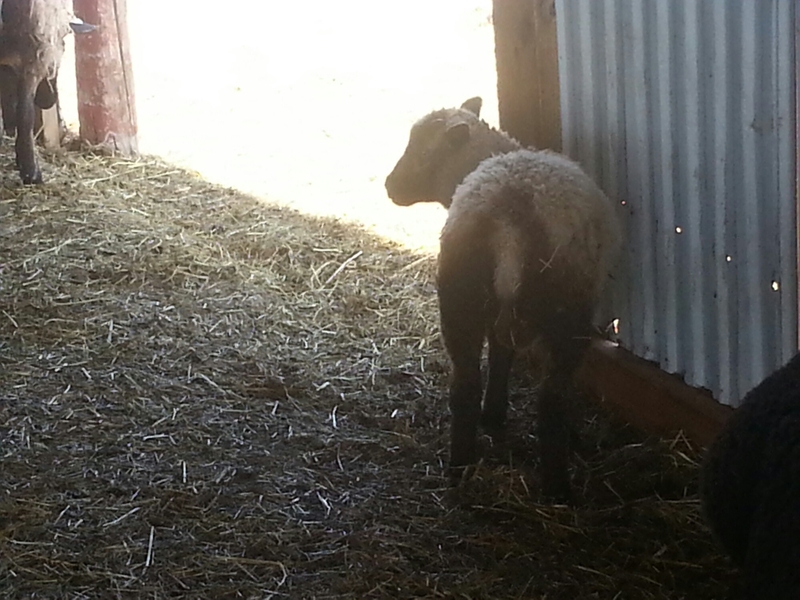 Gomer got his name because when he was born he managed to wedge himself between a lambing jug and the wall. He was almost missed, and surely would have died but his momma was acting crazy and we found him. Gomer is a solid moorit (possibly modified) with scurs or aberrant horns. I am keeping Gomer’s twin sister, his mother, and his father. I considered keeping Gomer but decided to keep his sister instead. His crimp is coming in, his legs are slightly turned in at the hock, which he may or may not out grow. Yarrow is out of Shepardwoods Easter Skerry (AFD 27.1 SD 5.5 CV 20.2 CEM 9.3 CF 74.1 – grade 2 fleece as a 5 year old)and Whispering Pines Jean Luc(AFD 25 SD 5.1, CV 20.3, CEM 8.5 CF 89.1 as a yearling- grade 2 fleece) Both parents have very nice confirmation and they seem to have passed that along to Yarrow. Jean Luc was third place at Jefferson Sheep and Wool out of 15 in the ram lamb class. I believe Yarrow will have scurs or aberrant horns( which is to say he will not be fully horned, but depending on who he is bred to he could produce horned or polled stock). Yarrow has very nice legs, a lovely, straight back and good confirmation all around. He will likely have a more wavy style fleece. Yarrow is a fawn katmoget and is likely homozygous katmoget. Finn sheep are known for their large numbers of lambs 3-5 typically, and the ability to nurse those lambs. Many meat producers breed in some Finn to get lambing % up. Although these lambs will not be guaranteed to have any certain number of lambs, it is likely they will have 2-3 lambs per lambing as adults. Finn’s also have naturally short tails (for people like me who dislike docking) and are naturally polled (have no horns). The Finn’s are a big bigger than the Shetlands, and thus have more meat. 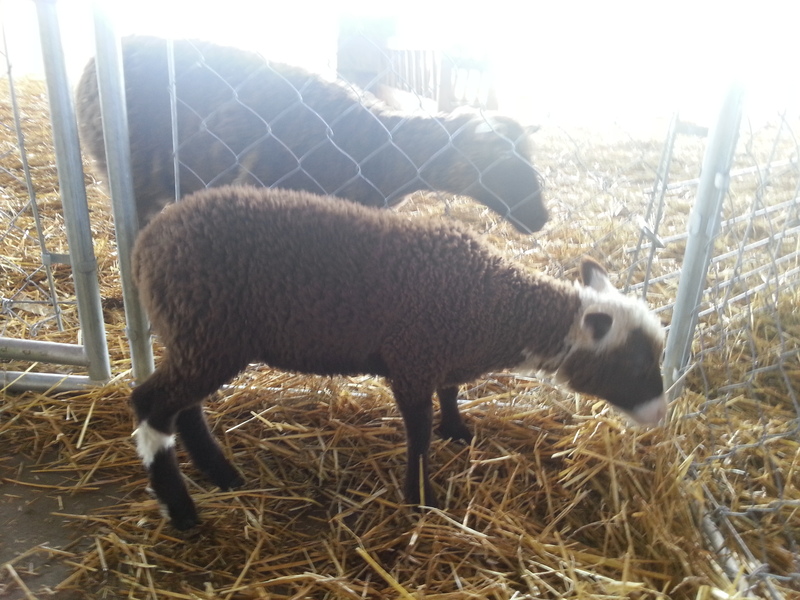 Frigg is a moorit Shetland x Finn out of one of my favorite ewes, Freya. Freya is a lovely Shetland, always gives me twins, and keeps her weight on even when milking. 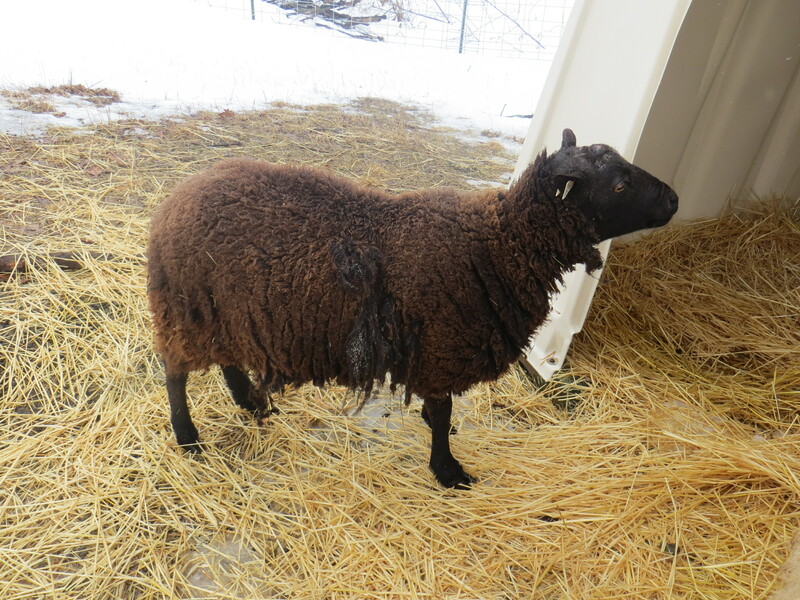 Frigg has a more open and wavy style fleece. 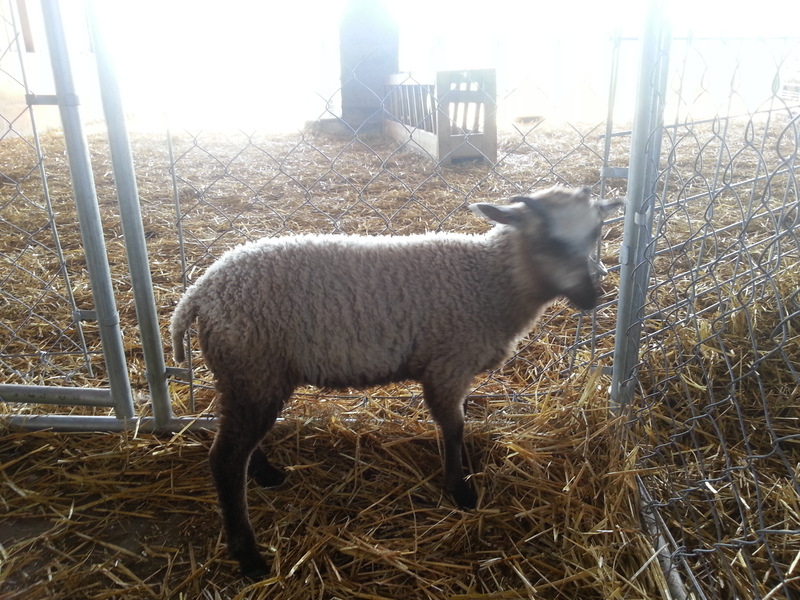 Natasha is a Finn ram (Eino) crossed on to our Charollais X, Fiona. Fiona is a BIG girl, and Natasha will be decent sized as well. Natasha is very sweet like her mother, and friendly. Sandy is out of Obara and Eino. Obara is a cross of just about everything. 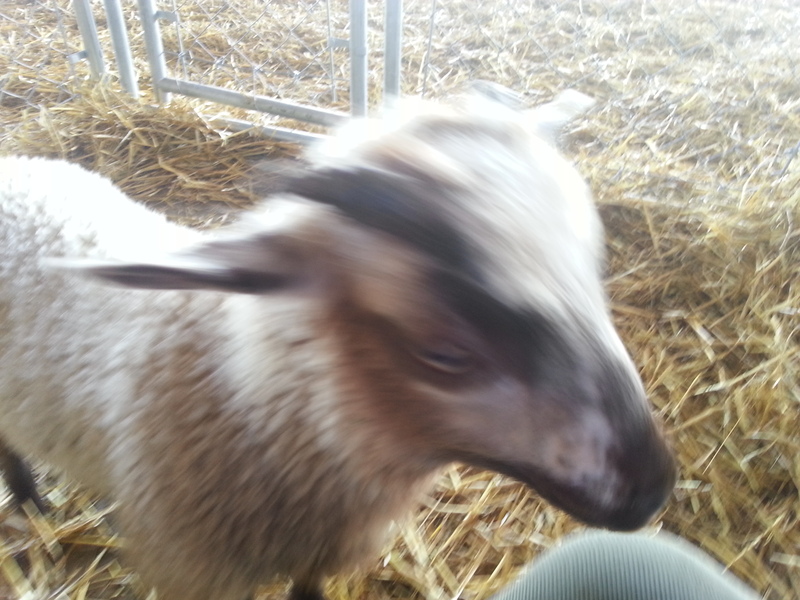 She has a bit of Shetland, some BFL, as well as CVM. She is black with a krunet. 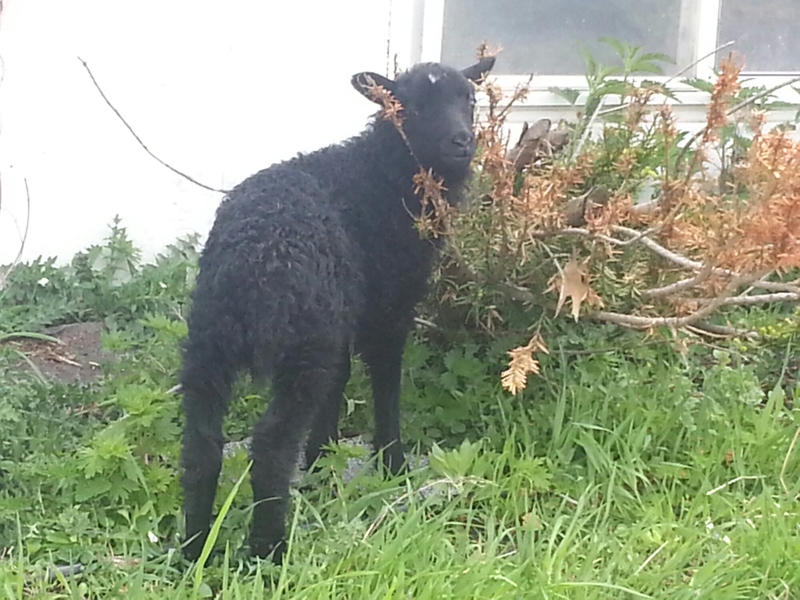 I have several Shetland x Finn cross rams for sale for someone wanting a terminal cross that may produce higher numbers of lambs born, with good mothering instincts and mothering abilities. Have you ever wondered how wild sheep lose their wool without humans to shear them? Well, wild sheep naturally shed their wool! This trait has been bred out of almost every domesticated sheep because individual animals lose their wool at different times. Rooing a sheep also takes more time then shearing. As sheep flocks grew people wanted to quickly shear all their sheep at once and the rooing gene was selected against which is to bad because for a small flock trying to make ends meet, rooing is the way to go! 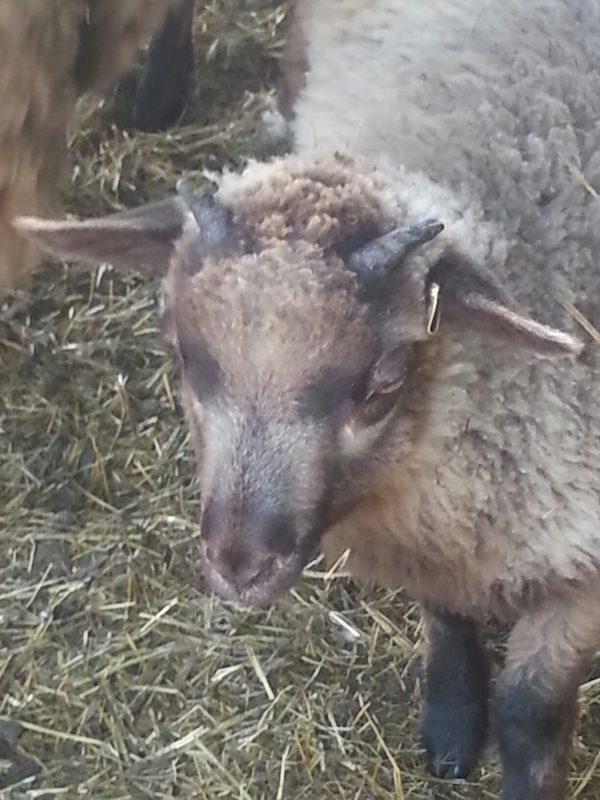 Shetland sheep are considered a primitive or un-improved breed. Sometimes I think this makes people think that Shetlands are not as good as modern breeds. But I think it means, Shetlands got it right the first time. No need to improve on something that is already pretty great! 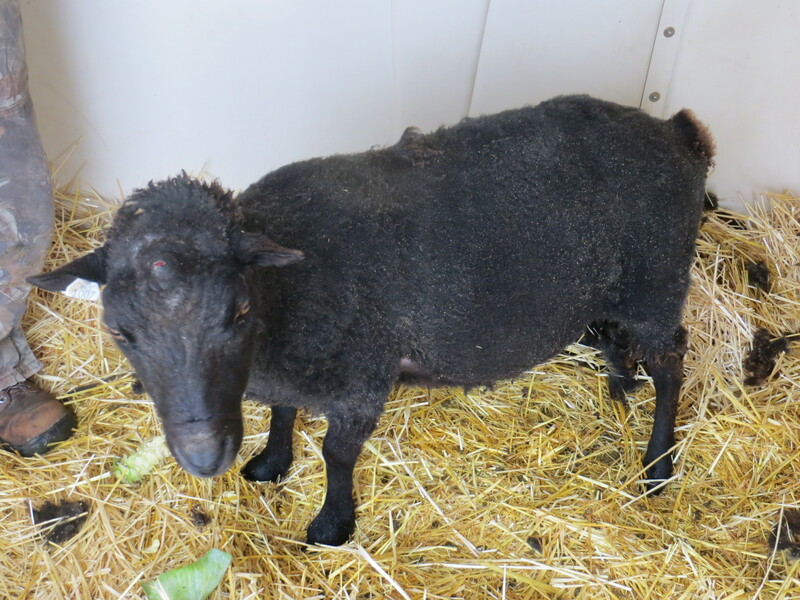 Although some breeders of Shetlands are selecting against the roo-ing gene many still carry the “primitive” trait. 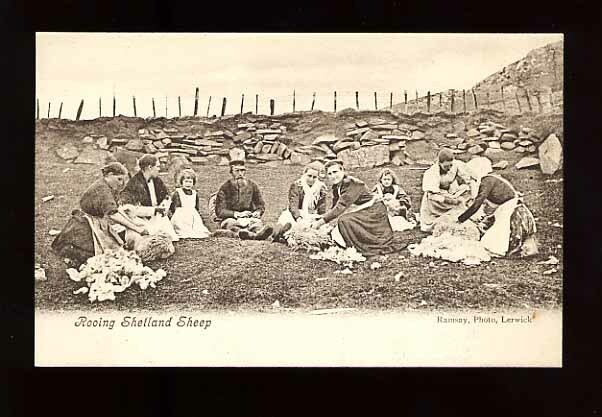 Here is a picture of some native Shetland Islanders rooing their sheep. Rooing is a natural process and does not hurt the sheep. A sheep is ready to be rooed when there is a natural break in the fiber that allows it to be easily pulled off. You can see when a sheep is ready because tuffs of wool will begin to come loose on their bodies. You may also see bits of wool that have been rubbed off around the pen. Without human intervention the sheep would rub the wool off on rocks, trees and other similar surfaces in their environments. Today while I was feeding the rams I noticed Levi was starting to roo. It was my first time rooing a sheep and I loved it! It took a while but Levi was wagging his tail the whole time. The wool came off with just a light amount of pulling. Because Joel and I were not using shears there was no risk of nicks or cuts. The sheep’s own body decided how much wool to keep on so I didn’t worry about him being to cold. Each sheep cost us about $12 to shear so this method is also a lot cheaper. 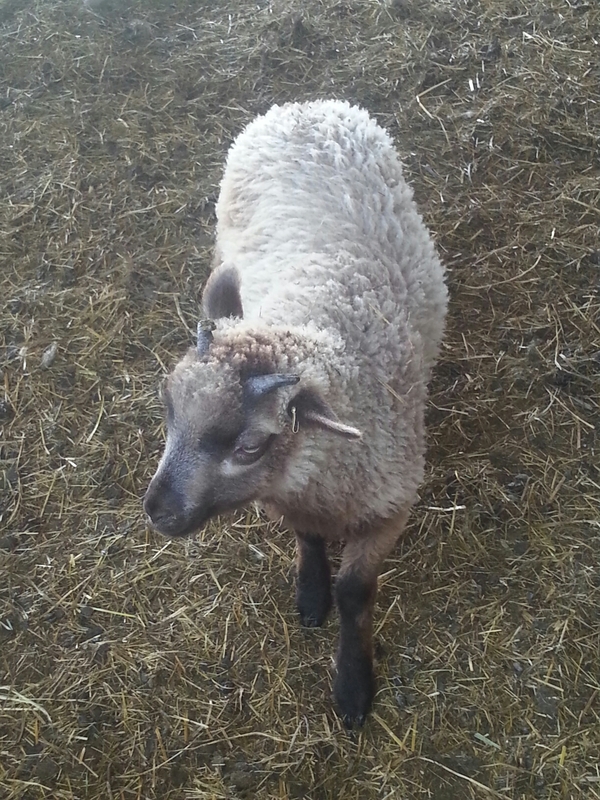 I know several other sheep we own roo and I am excited to practice more. Here are some before and after pictures of Levi. You can see the wool on his belly is starting to separate on his belly. I also found a few tuffs of it on objects in the pen. A few tuffs on his neck, and legs would not come off…but all and all I think he looks pretty good! Levi says, “Give me the rest of that cabbage!” The wool on the ground is the stuff with poop tags on it. I didn’t bring enough bags for it!